Weebo is an American Staffordshire Terrier mix on a mission. 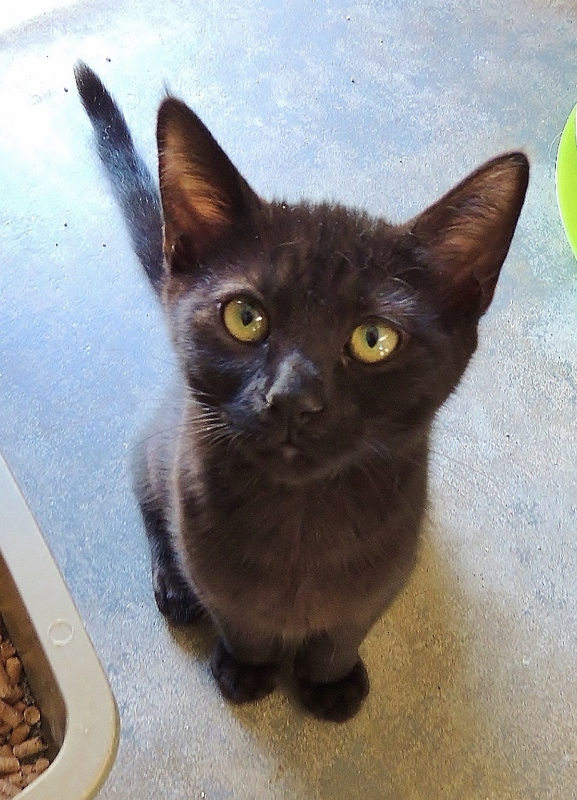 This 9-month-old lad is aiming to please and his sights are set on a family to impress. He has the fun loving spirit of the little brother you always wanted, with the good looks of the boy next door. His crisp, short coat is a classic mix of black and white, so it will blend perfectly with your family’s favorite sports team’s colors. He adores children of all ages and his outstanding leash manners mean he can tag along on all the extracurricular activities. Weebo has a true desire to learn and he wags his tail the whole time that he “sits” and “lies down” on command. He has so much love to give, that Weebo thinks he’s just enough and would prefer to be the only pet in the home. Who needs other furry friends when your newest family member has a heart of gold? Somewhere between “itsy bitsy” and “teeny weeny,” exists a special ebony kitten named “Ini Mini.” At 4-months-old, Ini Mini may be a petite kitten now, but her larger-than-life joyful personality can fill a room. Ini Mini is everyone’s new best friend, playing politely with kittens, cats, dogs, children, and even a few lucky grown-ups too. This adaptable feline will fit right into just about any home, from active families to quiet singles looking to spice things up. Her bright yellow eyes twinkle against a deep black background of short, soft fur. 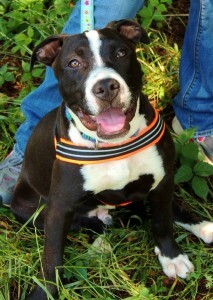 This sweet little lady is sure to grow right into your heart and fill in all the spaces with fun and happiness. She is currently at Petsmart where you can pay her a visit.